Bugatti stunned us yesterday with its numbers for its Veyron-replacing Chiron but incredibly it isn’t the most powerful car on show this week at the 2016 Geneva Motor Show. 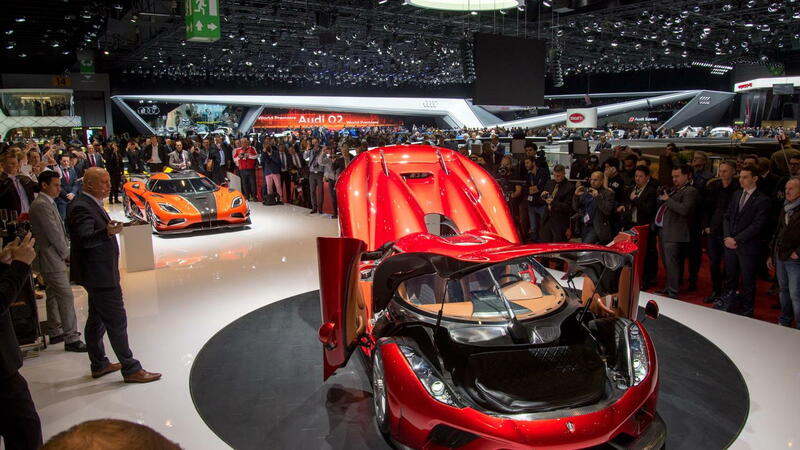 Swedish rival Koenigsegg has a production-ready example of its Regera on its stand and the new hybrid supercar boasts an output exceeding 1,500 horsepower and 1,475 pound-feet of torque! In comparison, the Bugatti has just 1,480 hp and 1,180 lb-ft on tap. The Regera’s ace is its drivetrain which has both an internal combustion component as well as an electric drive system. The innovative drivetrain is also devoid of a conventional multi-gear transmission. Instead, Koenigsegg has developed a system called Direct Drive which connects the engine, a twin-turbocharged 5.0-liter V-8, with the wheels via a single-speed reduction gear and hydraulic coupling system. The system is said to be light, strong and efficient. 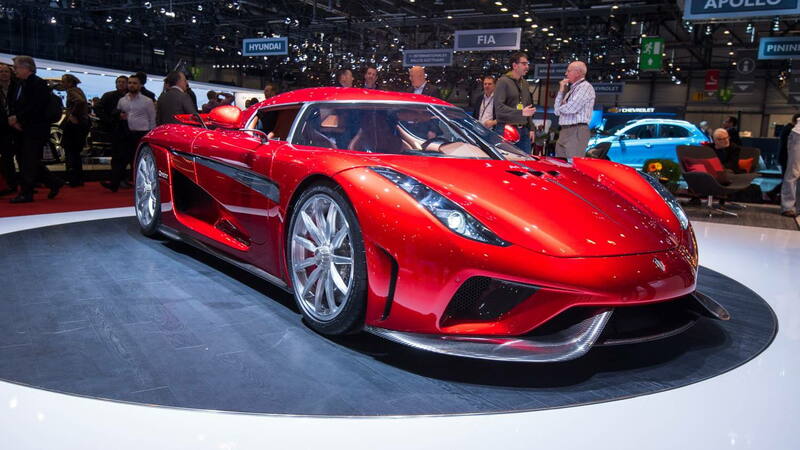 The Regera’s curb weight is approximately 3,500 lb, which isn’t bad for a hybrid of this performance. Once the vehicle has sufficient speed, in this case 30 mph, the coupling system locks up, meaning the wheels spin in direct proportion to engine rpm. Such a design would mean smooth acceleration all the way to the car’s top speed, determined by maximum engine rpm. Below 30 mph, the revs are too low to drive the car so instead an electric drive system is employed. Three electric motors feature: one at each of the rear wheels and another mounted to the engine. The latter serves as the starter motor but can also recover energy as well as aid the engine by providing torque fill at low rpm. Koenigsegg tells us that around 3,000 changes have been made to the Regera since it was first shown in prototype form one year ago. The biggest change was introducing a clutch-slip mechanism that allows the driver to blip the revs while the car is slowing, simulating the sound and feel of a downshift using a conventional transmission. The driver can activate this downshift by pulling a paddle to the right of the steering wheel. A pedal on the left of the steering wheel is used to control the severity of the car’s regenerative braking system. Regenerated energy is stored in an 800-volt, 4.5-kilowatt-hour battery pack, making the Regera the world’s first 800-volt production car. It means the battery can quickly charge and discharge energy. 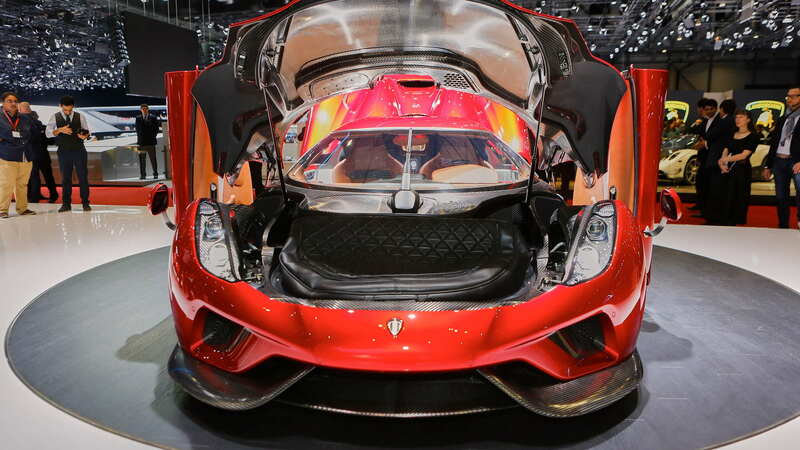 Koenigsegg claims it can discharge as much as 525 kilowatts. The battery is also of a similar quality to that used in Formula One, which has allowed it to be very light. The weight is a tick under 200 lb. But what can a car with more than 1,500 hp and 1,475 lb-ft achieve? You’ll need just 2.8 seconds to hit 62 mph, 6.6 seconds to pass 124 mph and 10.9 seconds to hit 186 mph. The car’s top speed is 248 mph, though as mentioned above this figure is limited by engine revs. Koenigsegg estimates you’ll reach this in 20 seconds though is yet to test it due to a lack of a suitable test track. Despite such scintillating performance, Regera owners can also expect the most refined driving experience yet from a Koenigsegg car. New active engine mounts provide a sense of isolation and peace within the cabin at lower speeds, but firm up for a more active driving experience when required. You’ll also find most luxuries including heating and electrical adjustment for the seats as well as Wi-Fi and Apple CarPlay smartphone integration so you can stay connected. 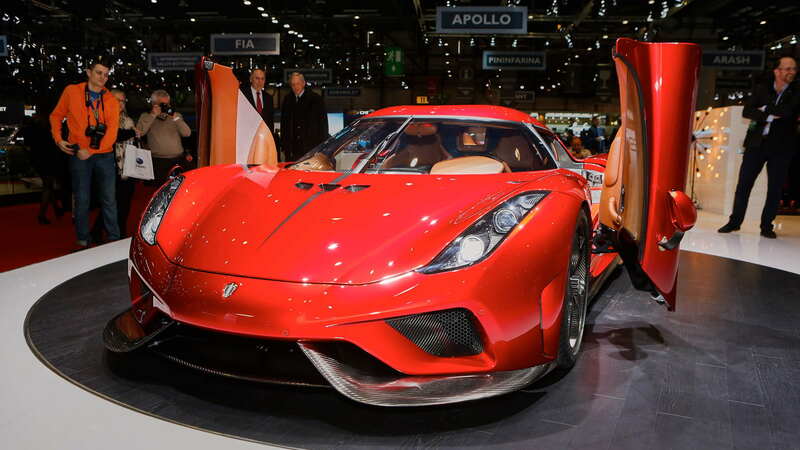 Koenigsegg will start production of the Regera in the coming months and just 80 build slots are planned, many of which have already been claimed. 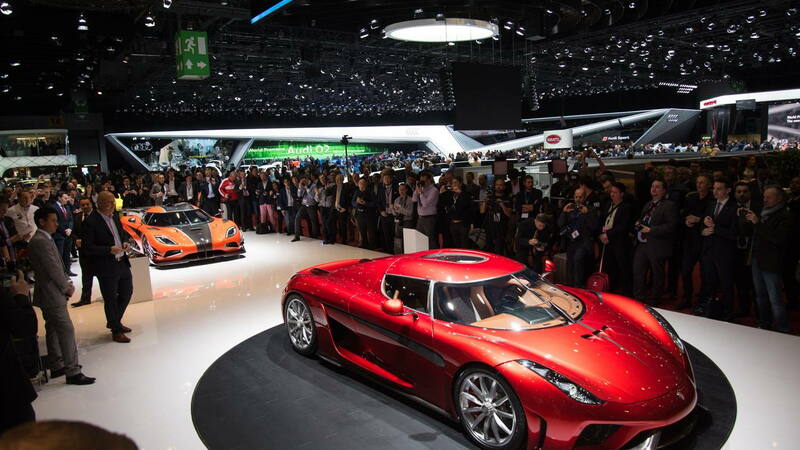 Only 80 cars may seem like a small run but it will make the Regera Koenigsegg’s highest-volume model to date.